Below is a break-down of all components we use, and why we have designed them. For more images visit our Instagram page. 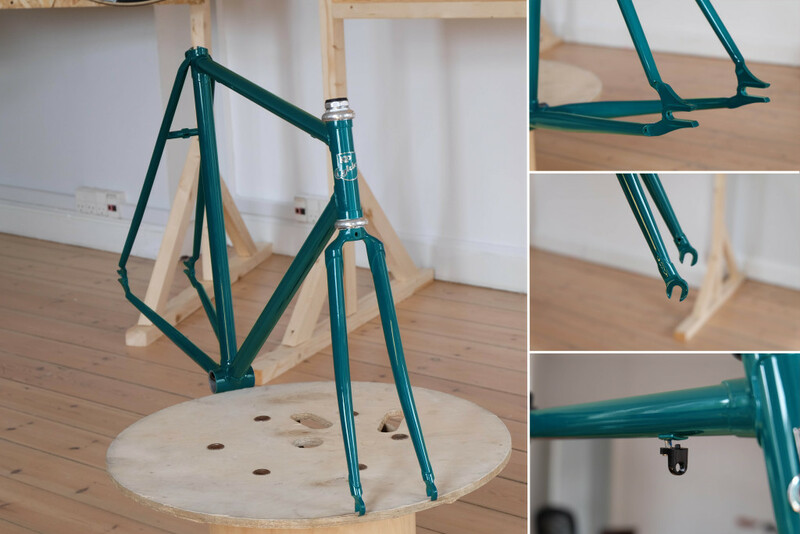 Our frame geometry is designed as a homage to some of the greatest classic track frames. We use 4130 Chromoly tubing, which gives you a lovely feel on the road. Not too stiff, and extremely durable. The frame is hand-brazed with built-in chain tensioners, and removable cable bosses for those who like to run fixed gear or coaster brake. 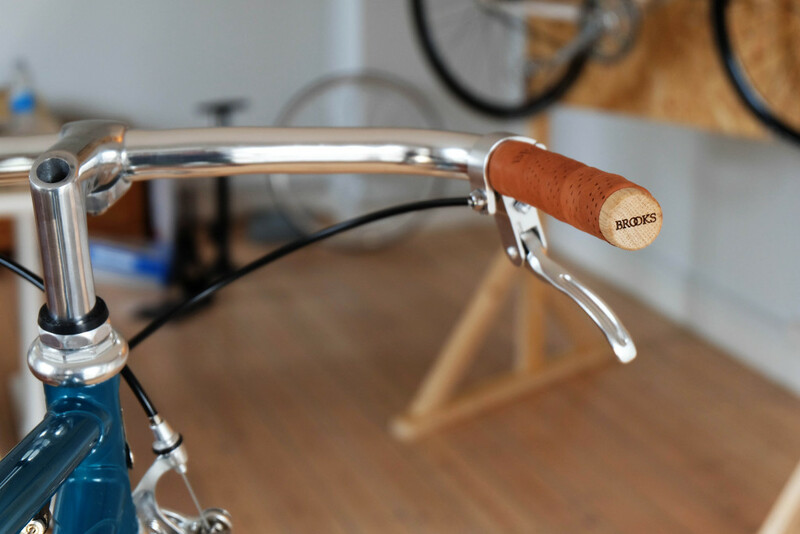 Porteur bars have a minimal drop/rise for combination of relatively aggressive looks and comfortable ride. 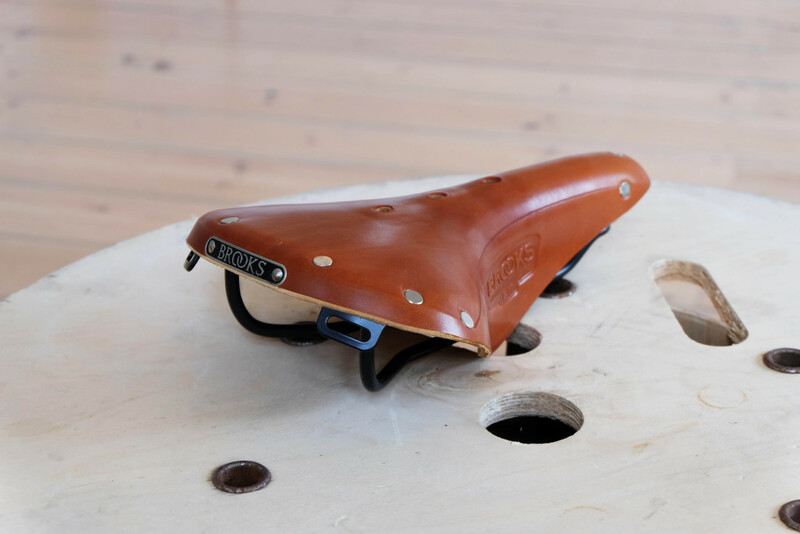 Our Porteur bars are designed for a relaxed cruise. 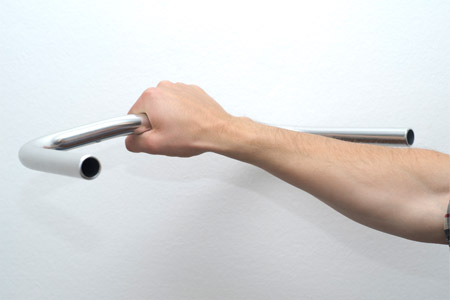 It is so hard to find Bullhorn bars that are not straight, and yet comfortable enough for everyday use. 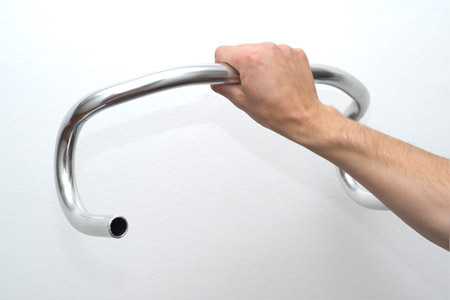 We designed our Bullhorns with a very slight drop to make them look like the belong on the track, but to feel relaxed on the streets. It can be difficult to get the machines to make an artist’s wish come true. Our founder Kaspar spent hours on end to make the different radiuses blend into each other seamlessly. 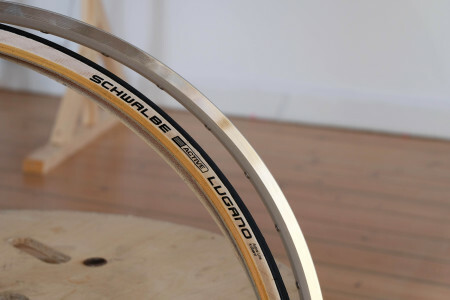 The changing radius bend starts increasing from stem and finishes steeply before turning downwards. 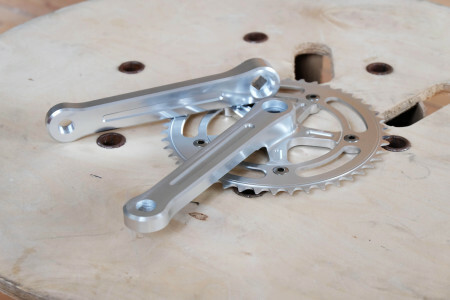 This design allows you to ride a modern ‘roadbike’ hand position while keeping the classic track look. The B17 is a true timeless classic. It was first featured in 1898 Brooks catalogue, and has been in production since. Not only does leather seat look great – it only gets better with time. Leather is a fabulous material for handlebar tape. As years pass, it only gains more and more character without wearing out. We use high-flange hubs to keep the wheels stiff. Sealed bearings make them maintenance free. In the rear you have a flip-flop hub giving you the choice of single speed freewheel or fixed gear (16T freewheel and fixed cog are included with a bike). Want gears? No problem. 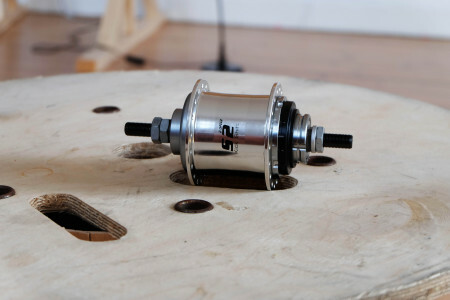 The Sturmey Archer Kickshift hub gives you the advantage of 2 gears with no bulky cables or shifters on the way. Just pedal back slightly and you change the gear. 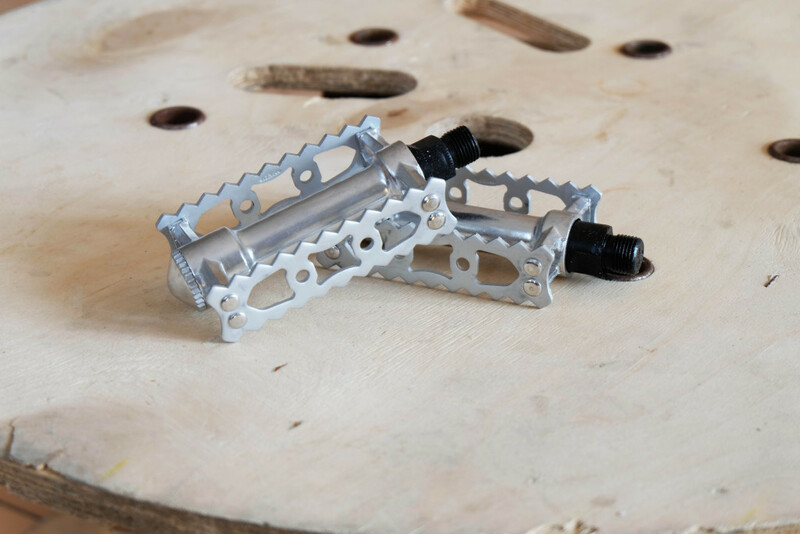 Comes with 22T cog. First hear has direct drive and second gear has overdrive of 138%. 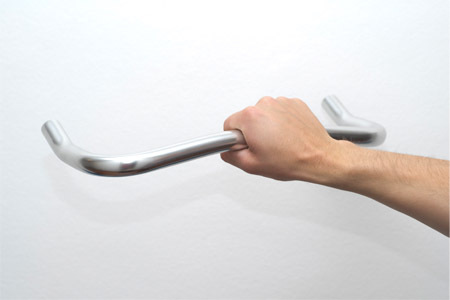 See our demostration of Kickshift here. 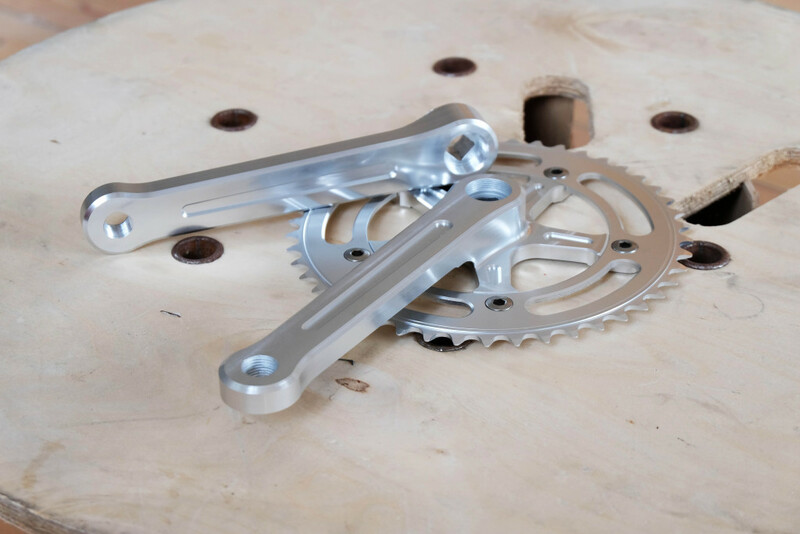 We use Lasco 46T aluminium sprocket and cranks. 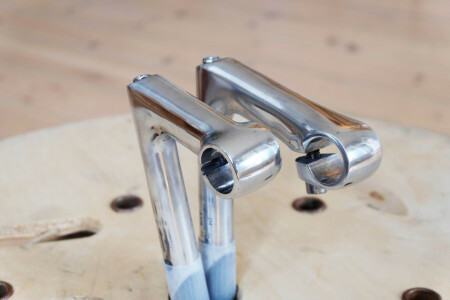 Looks like steel classics, but weighs like modern speedmachines. VP touring pedals are wide enough to never start eating into your shoes yet slim to fit perfectly into our design. These good looking chaps complete the design. A modern threadless stem just wouldn’t look right. We use 80mm stems with our Drop and Bullhorn handlebars and 105mm stem with the Porteur handlebars. Simplicity is what we strive for. 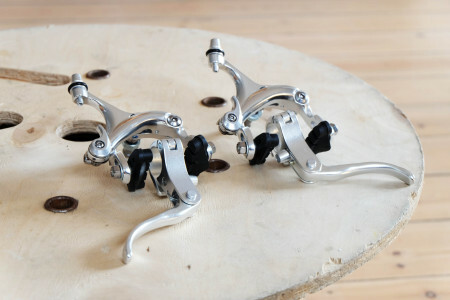 You can’t get much more minimalistic than singularly aluminium calipers and levers. Lovely! Our road bike tyres give you wings. People who are used to ‘the regular’ city bike are always surprised how at the ease our bikes move with. We use 23c Schwalbe Lugano tyres and Ryde rims with 21mm depth from Holland. Double walls keep them solid as a rock. 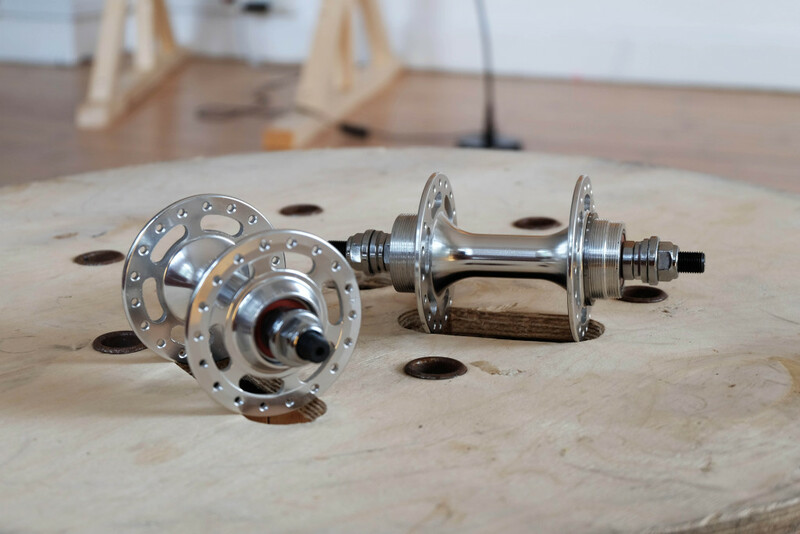 We handbuild all our wheels so they are as close to perfect as it gets. 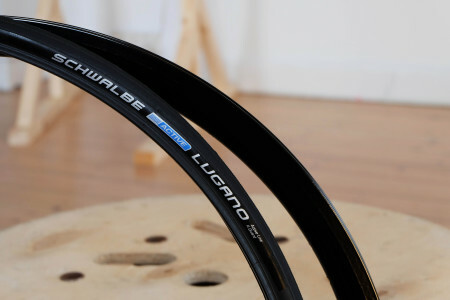 Again, 23c Schwalbe Lugano for low rolling resistance, and Ryde 31mm deep rims. These wheels combine the modern racing look with otherwise classic setup. Check out our Vimeo to see how this set went 750 km through Denmark. With just one puncture.